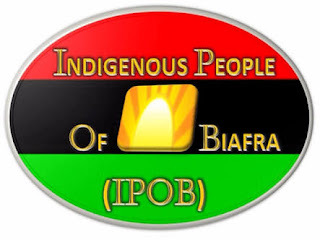 Indigenous People of Biafra (IPOB) has called on the Newspaper Editors to be wary of DSS’ fake radio station so as not to allow their publications to be willingly vehicles for the peddling of government fake news and propaganda. IPOB while accusing DSS of lying to media houses that its radio station is broadcasting from London instead of Florida, said the station is fake and every message coming from it would be fake. The Media and Publicity Secretary of IPOB, Emma Powerful disclosed this on Thursday in a statement sent to Biafra Writers. Emma Powerful therefore reiterated that Radio Biafra London which has been broadcasting from inception, is still registered and operates from London and the Director and Deputy Director, remain Mazi Nnamdi Kanu and Mazi Uche Mefor respectively. He further reminded that Mazi Chika Edoziem is the Head of the Directorate of State (DOS) with responsibility for the day to day administration of IPOB worldwide while he (Emma Powerful) remains the Publicity Secretary and spokesperson. “Any leadership structure not in conformity with the one outlined above is non-existent, fake and doesn’t and will never exist, Powerful said. “We are warning all Biafrans to be vigilant and wary of the new strategy and antics of the Nigerian government and her agencies, especially DSS. They are determined to confuse and deceive the public with fake news from their fake radio station broadcasting from Florida USA. They have managed to recruit a handful of money hungry Igbo traitors and APC members in America who are helping them run this new DSS radio Biafra station on shortwave and FM”. “DSS tagged their new fake radio station, Radio Biafra, in the hope of confusing Biafrans into believing in their lies against our leadership structure and modus operandi. Only those with difficulty in reasoning or devoid of common sense will allow themselves to be deceived by this cheap subterfuge. Don’t they know there is an online register of all Shortwave transmissions? “The one and only world renowned Radio Biafra is still broadcasting from London, whereas this new one set up by DSS and operated by Igbo traitors, is based in Florida USA. Anybody who is associated with this evil plan by the Nigerian Government is working contrary to the interest of Biafra restoration. The worldwide IPOB family has nothing to do with this fraud. We recognize the fact that these shameless antics will never stop and as a matter of fact we expect them to be intensified in the run up to our referendum next year. “The indomitable IPOB family worldwide will soon launch another version of Radio Nigeria on Short Wave in response to these crude, senseless and amateurish antics of DSS. We shall in the coming weeks be launching a new Radio Nigeria service in Hausa language as a direct response to this move by the Nigerian Government to prove to them that we Biafrans are too intelligent to be taken in by this crude antics of a corrupt drowning APC administration”, he said. “We are warning Biafrans to be careful of the people planted in the midst of Biafra agitation by Nigerian Government through their DSS. Some online media houses have also accepted to work for the Buhari government against Biafran restoration in exchange for money. We are aware that Nigerian Government through the DSS have infiltrated and in most cases taken over most pro-Biafra groups so must expect many more fake and fabricated information concerning IPOB family members and Biafra restoration project. The advice is to ignore any information or news from these fake platforms because they are sponsored and owned by DSS and the APC government. “We are advising every Biafran to ignore and disregard every information coming from any other radio station claiming they are working for Biafra unless it’s Radio Biafra London. What DSS is doing, with the help of some media houses and traitors, is to create an atmosphere of confusion and uncertainty, given the absence of our kidnapped leader. Many more fake online and terrestrial radio stations peddling fake news about Biafra independence and IPOB leadership are coming so Biafrans must be prepared to dismantle them with truth, facts and figures”. “It’s a pity that the Nigerian Government could descend so low by establishing fake radio stations to tackle Biafra restoration project because IPOB have defeated them in every aspect both home and abroad. Friends of Biafra, men and women of good goodwill, lovers of freedom must disregard any fake information peddling by this DSS radio station broadcasting from Florida yet claiming to be Radio Biafra transmitting from London. IPOB/Radio Biafra will continue to expose the childish pranks of the Nigerian Government and their agents against the Biafra restoration project”. “No amount of bribery, financial inducement, promise of political positions, creation of a phantom leadership for IPOB or fake radio Biafra stations will dent our resolve or impede our march towards extricating Biafra from the Luggardian contraption called Nigeria”. organisation set by the government and SHOULD be proscribed as well.